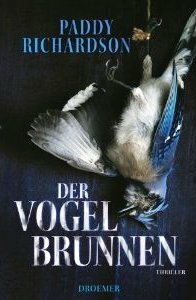 In another pleasing development for New Zealand crime and thriller fiction, New Zealand #1 bestseller Paddy Richardson is soon to be published in Germany, with her first psychological thriller, A YEAR TO LEARN A WOMAN, being released in translation under the title DER VOGEL BRUNNEN on 5 May. It's great to see Kiwi authors getting published in overseas countries, and being translated in other languages. Richardson now joins fellow South Island authors Paul Cleave and Vanda Symon, who have likewise had some of their New Zealand-set tales translated and sold in the German market. Cleave's dark thrillers have in fact been something of a sensation in Germany, with the German version of his debut THE CLEANER (sold as Der siebte Tod there) being the bestselling crime novel of 2007 for Amazon Germany (even ahead of the likes of the translation of Linwood Barclay's smash-hit NO TIME FOR GOODBYE). The German-language reading market is huge - and it's interesting to see how not only is 'foreign' crime translated into English becoming more popular and prevalent, but more attention also being paid to English-language authors being translated into other European languages - where sales can dwarf those in the likes of the UK, traditionally seen as one of the two most important markets. You can read my 9mm interview with Paddy Richardson here.